In celebration of the Art Collection Telekom exhibition Fragile Sense of Hope, EB.net will roll out a series of seven short interviews with contemporary artists from Eastern Europe. They’ll all appear at the exhibit, which features a selection of works from Art Collection Telekom artists in Eastern and Southeastern Europe. 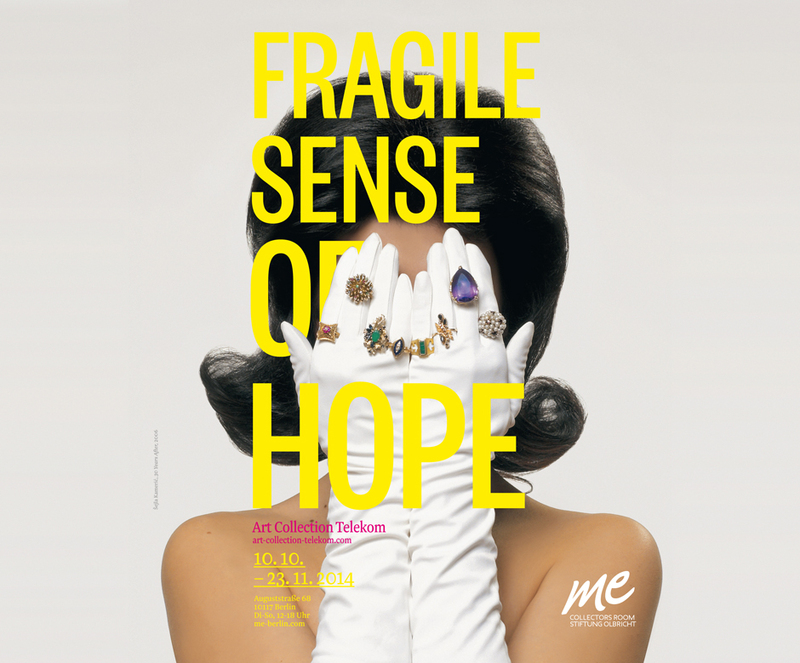 Fragile Sense of Hope opened at Berlin’s me Collectors Room/Stiftung Olbricht October 10 and ends November 23. This week, we’ve got a sneak preview from the forthcoming issue of Electronic Beats Magazine, which will feature a conversation between Mark Smith and Polish artist Agnieszka Polska. Her work re-examines archival footage and art history narratives through painstakingly-crafted films and animations, and Smith spoke to Polska about the idea of “outsider” artists, and art’s potential to enact change. In this excerpt they discuss the issue of memory in Eastern Europe, whether creativity can exist in eternity and trying to return art to the real world. How much do you interact with the history, context, and identity of being Polish? Does it play a role in your work? The fact that I come from Eastern Europe is important because I think the artists from Eastern Europe have a certain attitude towards the issue of memory. It’s strongly connected to the change of the system after 1989. The archived information was distorted; it’s this unusual thing of living in a part of Europe where your past is not very certain. I think that this is visible in my practice for sure. It’s not really about being Polish, it’s more being from Eastern Europe. I was analyzing those topics of memory or of constructing the past in many of my works. So what role does this archival information play in your art? It depends on the work. In many earlier works, I was using older materials scanned from books and magazines, but it really depends on the intellectual content of the piece. Sometimes when I produce a work about how a piece of art changes through time, for example, then I’m using scans of photographs of the works from a certain period. But in my new works I use different sorts of materials. In my last two animations, I used the same technique as my earlier work, but the photographs come from contemporary sources. It’s connected to the outcome of the intellectual content of the work. The usage of the source must be strongly connected to the theory behind the piece. For example, in the recent film I made called Future Days, which is not an animation, I used figures from art history and elements of art history itself because it was connected to the problems present in the work. I created a phantasmagoric image of heaven for artists, where artists would go after death. It would give them a possibility to meet, especially the artists from Eastern Europe who never met the artists from the Western world because of the problems with getting a passport. So it was actually the first possibility for them to have an encounter. Of course it was a very ironic image. Which artists did you include? Some of them are very well known, like Bas Jan Ader and Lee Lozano. Also, there’s Charlotte Posenenske and the Polish artists Włodzimierz Borowski and Jerzy Ludwiński. I’ve chosen them because they’re all very important for me and they influenced me a lot. I think what binds them together is that they all left the art scene at some point and in many different ways. Charlotte Posenenske decided that artists have no effect on society so it would be better to study sociology, so she studied that instead of practicing art. Lozano stopped communicating with artists or any art people because she didn’t feel comfortable in art society. She also stopped talking—she called it a “drop-out piece.” She had another work that was running for the last 20 years of her life, which was the “boycott women” piece where she stopped talking to women. This piece was meant to last for two months but it ended up going for twenty years. I’m interested in this very radical position-taking in culture and also the fact of living the art is very interesting to me. I think this as a very brave statement. This is why I was interested in these artists. Also, some of these artists couldn’t make the deliberate position of living art. For example, Paul Thek was excluded from the art world even though he was a great influential artist. People didn’t understand this at the time. Or Bas Jan Ader was lost at sea, cruising through the ocean. Still some people say it was planned. I’m interested in these individuals who understand the freedom they have, even if they weren’t included in mainstream art culture. It sounds like something of an ideal world for them. In fact, this state of being in heaven is a very sorry state because they are forced to meet eternity. Another question of the film is if art is possible at all in the state of eternity. My film presents this group of people who are just wandering through these meadows of heaven without any aim and are trapped in this situation. They are dreaming about coming back to earth. I think that it refers to art in general, to how art is isolated from society and how artists are trying to get back to society and have a real world influence. There are many artists who are trying to influence their social surroundings in many ways. Still, we cannot deny that this community of artists, curators and galleries is quite powerful in society and yet somehow very closed. How can you overcome this distance and have an impact on society? I think it would be a lie if I said that I try to overcome this distance. For example the film Future Days isn’t so easy to understand for people who aren’t into art history, but still the contact with such people is very important to me. On a certain level it’s not necessary to have this knowledge in order to get something from art. I believe there is still a possibility of an inner change in individuals. Even if it’s not a change on a big scale, it’s still a very important thing. We can still work in the micro scale of the individual and it’s equally important as a work affecting the whole of society. 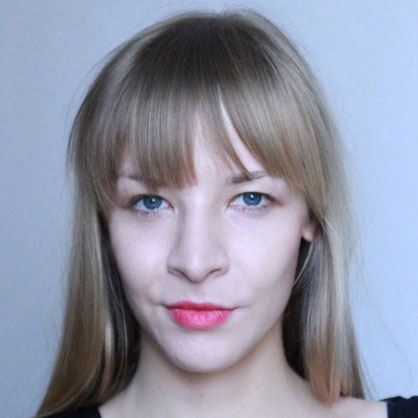 Agnieszka Polksa’s work will be featured at the Art Collection Telekom exhibition Fragile Sense of Hope. Click here to read more interviews in the series.